Stephen David has been practicing personal injury law for nearly 40 years. 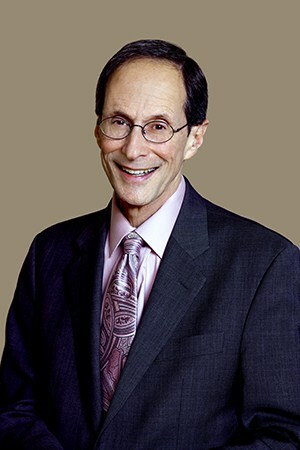 He has successfully tried or settled over a thousand cases resulting in millions of dollars for his clients.In his career spanning a generation, Mr. David has handled many interesting and noteworthy cases, including a settlement in excess of $1 million for a client in an auto accident whose recovery was so remarkable it was not apparent from looking at him that he was ever injured; a settlement during a jury trial for the estate of a client who was killed while crossing a highway, against the bar who had invited her to park on the opposite side of the highway; a federal court victory against a major insurance company which had claimed his client was not entitled to benefits of $500,000 because of no less than three coverage exclusions in his client’s policy; and a settlement against a railroad in a Wrongful Death case for the estate of a disabled client whose wheelchair became caught in the tracks at a crossing, causing him to be struck and killed by an oncoming train.He has also handled some unusual, if not unique cases, such as defeating a summary judgment motion and settling a claim for a client who testified that she fell and was injured while running from a UFO, and a jury verdict in favor of a client who was accused of spitting on the floor of a department store and was injured while resisting arrest by the store’s security guards.Mr. David serves as Special Counsel to Haggerty, Goldberg, Schleifer & Kupersmith. He is licensed to practice before the Supreme Court of Pennsylvania, the United States District Court for the Eastern District of Pennsylvania, and the Third Circuit Court of Appeals.